Turns out, people at high genetic risk of stroke can still reduce their chances of having a stroke by sticking to a healthy lifestyle, in particular stopping smoking and not being overweight, a new study has revealed. 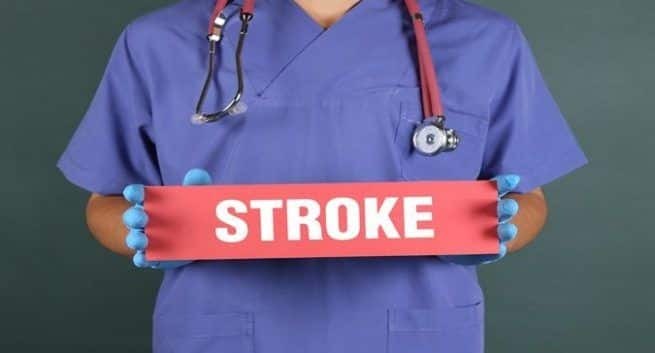 Stroke is a complex disease caused by both genetic and environmental factors, including diet and lifestyle. A team of international researchers decided to find out by investigating whether a genetic risk score for stroke is associated with actual (“incident”) stroke in a large population of British adults. They developed a genetic risk score, based on 90 gene variants known to be associated with stroke from 306,473 white men and women in the UK Biobank – a database of biological information from half a million British adults. Participants were aged between 40 and 73 years and had no history of stroke or heart attack. Adherence to a healthy lifestyle was based on four factors: non-smoker, a diet rich in fruit, vegetables, and fish, not overweight or obese (body mass index less than 30), and regular physical exercise. Hospital and death records were then used to identify stroke events over an average follow-up of 7 years. Across all categories of genetic risk and lifestyle, the risk of stroke was higher in men than women. Risk of stroke was 35% higher among those at high genetic risk compared with those at low genetic risk, irrespective of lifestyle. However, an unfavourable lifestyle was associated with a 66% increased risk of stroke compared with a favourable lifestyle, and this increased risk was present within any genetic risk category. A high genetic risk combined with an unfavourable lifestyle profile was associated with a more than twofold increased risk of stroke compared with a low genetic risk and a favourable lifestyle. These findings highlight the benefit for the entire population of adhering to a healthy lifestyle, independent of genetic risk. Among the lifestyle factors, the most significant associations were seen for smoking and being overweight or obese.